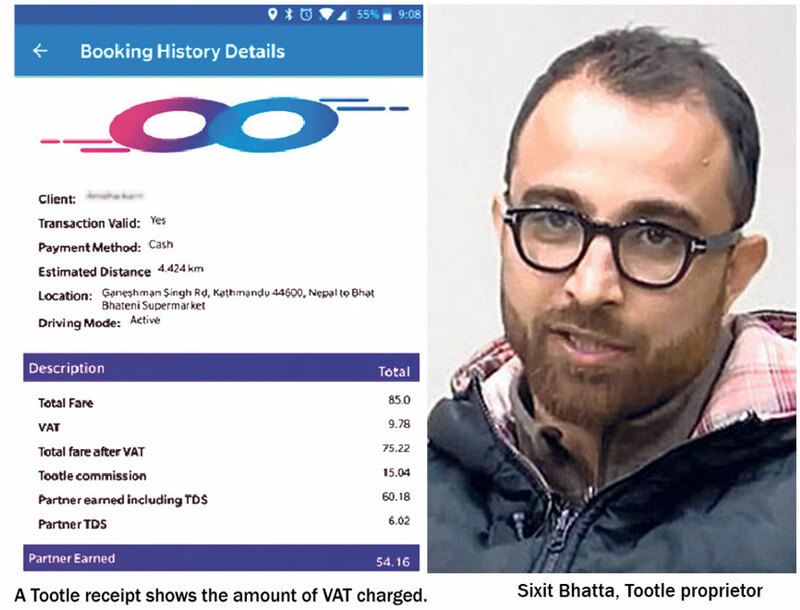 KATHMANDU, Jan 23: Tootle, a ride-sharing service provider, is found to have collected 13 percent Value Added Tax (VAT) from riders for 19 months but without paying the tax to the government. According to sources knowledgeable about the company’s financial transactions, Tootle collected VAT from riders since its inception in January 2017 to July 2018. However, the company is found not even registered at the department concerned as a VAT paying company. Sixit Bhatta, chief executive officer of Tootle, told Republica that the company is currently in the process of registering for VAT.